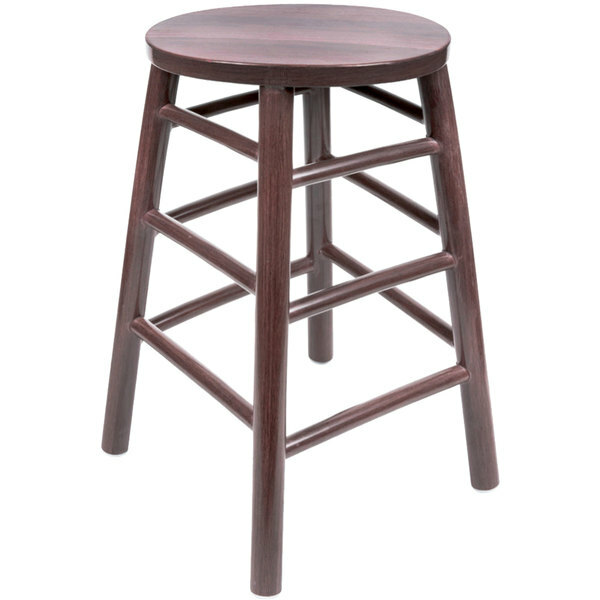 Serving as a reliable and sturdy seating solution for your restaurant, diner, or bar, this Lancaster Table & Seating Spartan Series 24" metal woodgrain stool provides exceptional comfort for all your guests and patrons. The item combines the tough and rugged construction of metal with the subtle elegance of an attractive wine color finish in order to instantly upgrade the look and feel of your foodservice facility. While wooden stools are normally fastened with wood screws and glue, this innovative stool instead boasts reliable, high quality welding for long-lasting support.